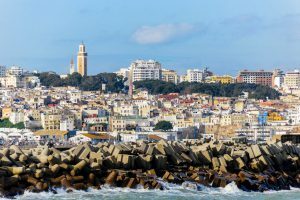 visit to Tangier dipped from Europe and Africa from the Atlantic and the Mediterranean Grand Socco and Petit Socco and the Medina. Walk toward the Cape Spartel and Hercules caves. Walk toward the cap Malabata and ksar Es Seghir along the Strait of Gibraltar. 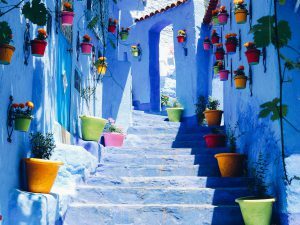 You will find the port of Tangier Med specializing in the transhipment of containers. Lunch on the way. 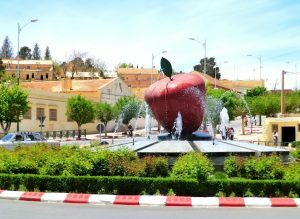 Visit Tetouan : the Moulay el Mehdi square, the entrance of the Royal Palace Bab Okla.
Departure toward the pearl of the Chaouen (Chefchaouen) holy city of the Xv th s. T visit Chefchaouenin the morning . located at 600 meters of altitude in the chain of the GIR which account an important religious heritage (mosques zaouias oratorical and mausoleums). Continuation to Fez , lunch on the way. 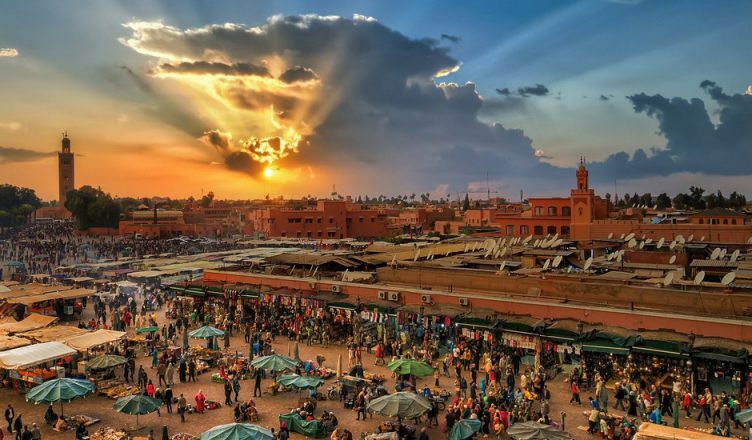 Fez is the spiritual capital intellectual and cultural of Morocco. 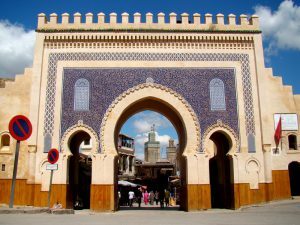 The morning visit Fes el-Bali with the medina and its souks zaouia Moulay Idriss medersa Hostel into Tourist Attractions Nejjarine Square with its very beautiful fountain Nejjarine Square museum of arts and crafts of the wood workshops of crafts Fassi. have Lunch and then go visit Fes el-Jedid mellah enter the Royal Palace complex of the potters and tower ramparts. Departure for Volubilis and visit of the roman city with its beautiful mosaics. drive to Meknes. Moroccan lunch on the way. 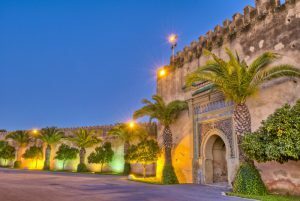 Visit doors of Bab Mansour world famous Bab El-Khemiss main entrance of the old mellah Grenier to grain and mausoleum of Moulay Ismail. Return to Fes. Late afternoon free. Via Ifrane and the neck of the Zad (2,178 m) in the Middle of the Atlas, departure for Midelt at the foot of djebel El Ayachi. Crossing the High Atlas with the parade of DOES Zala and the gorges of the Ziz in direction of Errachidia. Along the oued Ziz and its palmeraies arrival to Merzouga. 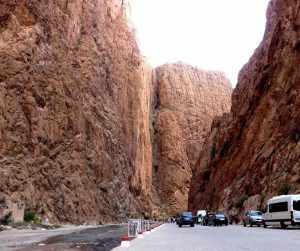 visit the toudra gorge and then the road of 1000 kasbah extends the special Skoura and Boulmane Dades it is punctuated by fortified assemblies. Departure for the big palm grove of special Skoura . Arrival to Kelaa M’Gouna known for its « feast of roses » which takes place during the month of May. Crossing of the oued Dades gorge in the direction of Tinerhir before reaching the grooves of the Todra. arrive to Ouarzazate. 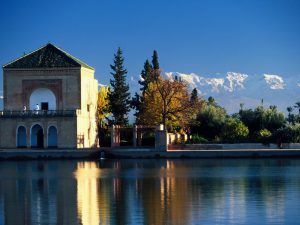 stop at the Kasbah of Taourirte once the residence of the pasha of Marrakech. 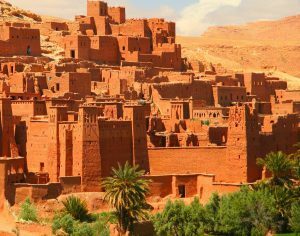 Visit of the ksar Ait Ben Haddou set of buildings of earth surrounded by walls striking example of the architecture of the south traditional Moroccan. Crossing of the chain of the High Atlas by the pass of Tizi N’Tichka (2260 meters altitude) , Arrival in Marrakech the 3th-largest city of Morocco. The morning visit the Koutoubia Mosque and its gardens where the building is representative of the art of the Almohads, Marrakech Museum , the Bahia Palace masterpiece of Moroccan architecture with its gardens and its patios, Saadian tombs and crossing of the Djemaa El Fna Square.a stop for Lunch and then visit the outside of the city ,the Menara garden olive trees, the ramparts , (Moroccan and Majorelle garden (botanical garden of the French painter Jacques Majorelle). Dinner Fantasia. 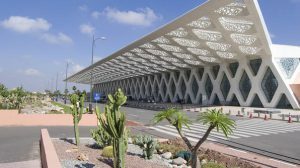 transfer to the airport according to your flight schedules.